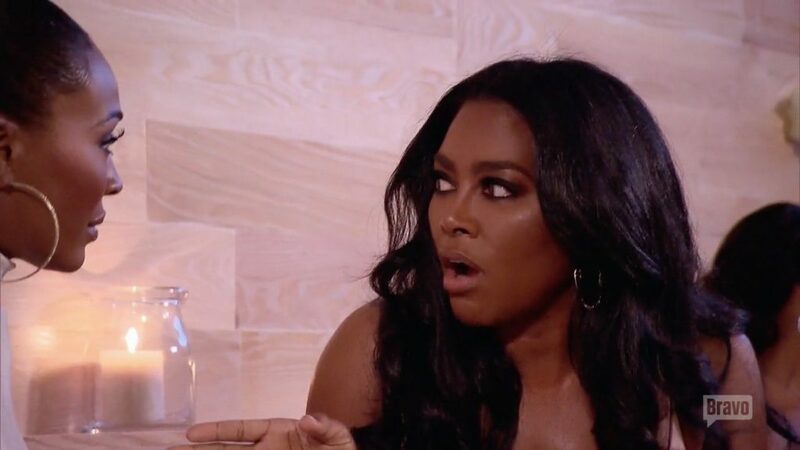 Atlanta Housewife Kenya Moore Confirms She Is Married! Out of all the Real Housewives, I never expected Kenya Moore to be the one to have a secret wedding. Who even knew that she had a boyfriend? This just seems so very random- especially since she didn’t have the wedding as a story line for Real Housewives of Atlanta. That shocked me way more than the random wedding did. At this point, Kenya hasn’t even revealed the name of her husband. I get keeping a boyfriend private, but it does seem a little odd to marry someone and keep his name hidden. Then again, I’m not a reality star so I really don’t know how this life works. Proving that Tamara’s tea is piping hot when it comes to RHOA, Kenya confirmed the secret wedding in St. Lucia during an interview with People. She doesn’t say much though. Kenya shared, “I’m just ecstatic. This man is the love of my life and I’m so happy to begin our lives together as husband and wife.” Good for her, but what’s with all the mystery? After all the years of getting bashed by her costars for her singleness, I figured that Kenya would be singing from the rooftops that she found a good man- let alone the fact she married this one. Kenya is no dummy though. There’s definitely a reason that she’s kept this one private. Most likely she’s just going to slowly share the details to build up the intrigue and ultimately get more attention. Nevertheless, my point is that Kenya really does know how to work the media coverage. The People article describes her husband as “a businessman she first met a year ago and began dating a few months later.” Props to her for her ability to keep this whole thing under wraps. That was no small feat. I hate to admit this, but I totally fell for this ploy. I want to know more and I’ll be creeping on Kenya’s social media accounts looking for clues searching for more information. TELL US- ARE YOU SURPRISED KENYA GOT SECRETLY MARRIED?